Owning a pet can be one of the most rewarding activities in a person's life, and with all the online pet resources available today being a confident pet owner has never been easier. If you are in need of a quick answer to any pet-related question, browse through these online resources and guides to excellent pet ownership. 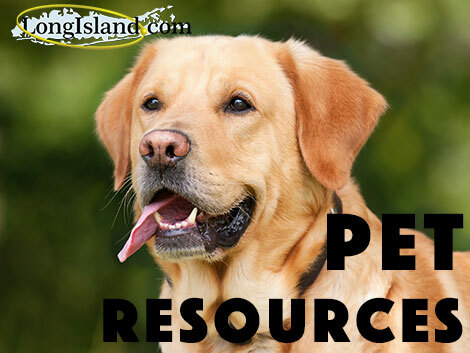 LongIsland.com Pets - Find pet related services throughout Long Island. Pet Finder connects over 300,000 adoptable animals with pet owners. This site offers resources and tools to help you prepare for pet adoption and to help you be an excellent pet owner. Users can find a listing of animal shelters, rescues and adoption centers near them. Simply Pet offers a handful of dog, bird and cat food recipes, as well as an organized list of additional pet resources including a listing of pet stores, vets, and articles about pet health and welfare. National Pet Pharmacy makes filling your animal's medication prescriptions easier than ever. Medications are delivered to your door, along with pet foods and litter as well. Pet Parents is a popular online pet guide that offers pet advice, as well as various tools and resources and a community forum for pet owners.